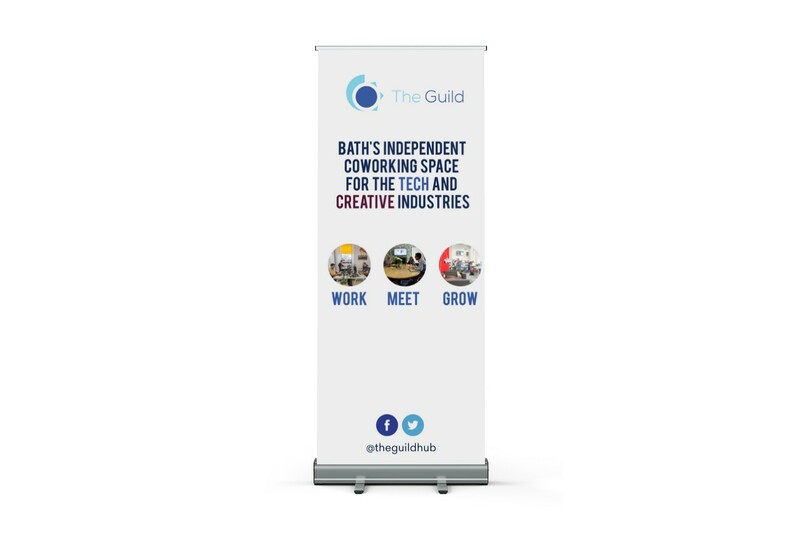 The Guild Hub is a friendly co-working space in the centre of Bath. As well as providing working space for freelancers and SMEs, they sponsor a number of events locally. In the run up to an event, they realised they didn’t have an up to date banner to take with them. 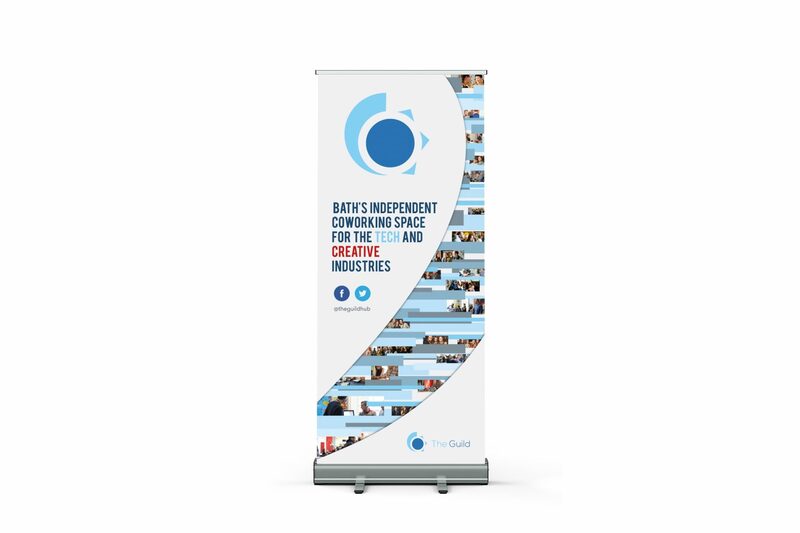 After an initial discussion with Kat to share their existing ideas and the use of the banner, she created three designs – one was picked immediately for a quick turn around. Another of the initial designs was preferred but needed a few more assets to be print ready. Tom shared albums from a selection of events for Guild members and others which happened at the Guild. Kat updated the design and tidied up a few corners and the banner was signed off to head to the printers. After an initial discussion, Kat came up with three possible designs for the banner. One of them was ready to use immediately and we quickly printed that for our next event. A second really stood out but needed a couple of amendments. After providing the new assets, Kat created version 2 and that was a winner. Once again, an amazing client experience!